Please take the time to read the following terms and conditions as they are there for your safety and protection. 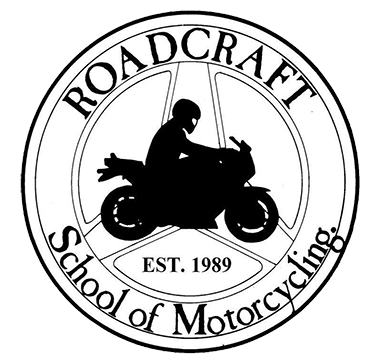 These terms should be read and construed as forming an agreement between Roadcraft School of Motorcycling, hereafter referred to as “Roadcraft”, and the student or customer hereafter referred to as “the student”. For safety and insurance purposes it is essential that the customer can clearly speak and understand English. The courses rely heavily on “Q+A” or Question and answer style of teaching so if there is a language barrier, due to the potentially dangerous nature of motorcycle training, it could compromise safety unless the trainee FULLY understands what is required of them. We therefore reserve the right to discontinue training in the event of communication problems. From June 2015, the paper licence counterpart was discontinued, making it hard to check for any bans or endorsements. 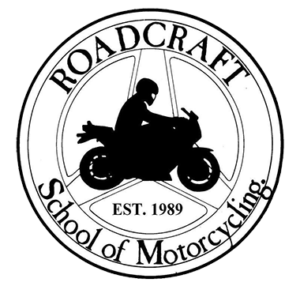 Roadcraft need to know if you have any endorsements on your licence and during the period of the full motorcycle course it is your responsibility to let Roadcraft know if you are banned for any reason or gain any penalty points. By reading this and not letting Roadcraft know about any bans/points, we feel we have taken reasonable steps to ensure your licence is current and valid. Please let us know if this is otherwise true. You are responsible for always acting in accordance with the directions and advice given to you by your instructor during your training sessions. You are also responsible for making sure that you are adequately dressed and protected for motorcycle riding. You are obliged to inform us of any physical condition or otherwise that could adversely affect safety or training. You must not be over tired, injured or suffering from any ailment or have taken any drugs or alcohol which could affect your riding. You must inform your instructor if there are any problems in this respect. The student must arrive in plenty of time to allow for the course to start on time. Lateness will result in loss of the student’s allocated training time. The Instructor has the right to halt or suspend training of a customer if he/she believes the student is incapacitated in any way through drink or drugs, or fails to comply with instructions or safety standards. ANY AGGRESSIVE ATTITUDES OR BEHAVIOUR CONSIDERED BY THE INSTRUCTOR TO BE THREATENING WILL RESULT IN IMMEDIATE TERMINATION OF THE LESSON/CBT WITHOUT REFUND AND IN EXTREME CIRCUMSTANCES, THE POLICE MAY BE INVOLVED. Life can throw the occasional curve ball. You may fall sick or be called back for emergency work. Roadcraft recognizes that situations arise from time to time that may require you to cancel or change your booking. If you can give us at least 24 hours notice prior to commencement of your course we are happy to rebook a time to suit both parties. This can be done only either in person or by a phone call to 0115 837 0240 and leave a message if out of hours, emails can be accepted at the email address listed on the answerphone. No shows, turning up after the lesson has started or late notice (under 24 hours) cancellation will be requested to pay for the whole lesson cost to cover lost earnings by Roadcraft due to turning other customers away for that training slot and may also be asked to pay in advance for the next lesson. (i) During your course if you do not adhere to the Instructors instruction or damage the motorcycle. (ii) If any aggressive/threatening behaviour is demonstrated by yourself. (iii) If you decide not to continue with your training for any reason. (v) See guaranteed training course section at the end of these terms. The Instructor reserves the right to withdraw the student from the selected course if the Instructor believes that the required standards of safety and control will not or have not been achieved. In this situation an alternative course may be substituted to enable the student to acquire the necessary level of competence. Any extra training needed to get the pupil up to C.B.T standard if not reached during the normal course will be charged at £20 per hour but will be conducted on a 1 to 1 basis. Helmets are a one use only item, if you drop or damage one of our helmets they are useless to us. You will need to pay us the £40 the helmet cost and take it away with you. If you would like to be exempt from paying for breakages, you can upgrade to “Fully comp” and pay a £5.00 fee to cover you for a basic lesson £10.00 for CBT or £40.00 to cover you for the full motorcycle test course. If you pre-pay for the guaranteed training course, the guarantee will only be valid providing you turn up for every lesson or give at least 24 hours notice of cancellation. If these rules are not followed, further “free” training after test fail will be at the discretion of Roadcraft. You as the rider in control of the vehicle are liable for any road traffic offences including speeding fines and bus lanes fines whilst on a lesson. Your details will be passed on to Nottingham City council for you to pay the fines. If you are using a motorcycle or scooter other than the one provided by Roadcraft please ensure that the vehicle is a road registered motorcycle and is in a roadworthy condition conforming to UK laws (Insurance, MOT, Tax, two L plates). You will need to arrange to have the motorcycle dropped off at the training ground (trailer, licensed friend rides it for you etc.) as you are not permitted to ride it to the training grounds until you have a current CBT certificate. In short, the responsibility for ensuring that your bike is suitable and eligible for test is yours. Roadcraft reserves the right to refuse to train a student on their own machine if they deem the machine to be unsuitable for training purposes. Roadcraft accepts no responsibility for any loss or damage, for any reason, to any Customer’s personal property. Any damage caused to a student’s own motorcycle whilst being used for training purposes is the responsibility of the student. Roadcraft cannot take responsibility for recovery of your own motorcycle in case of breakdown. Our liability insurance doesn’t cover that.